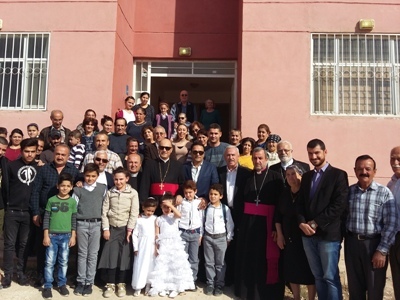 ACERO’s Dohuk Chapter today had the immense honour of welcoming His Beatitude Mar Meelis Zaia, Metropolitan of Australia, New Zealand and Lebanon to ACERO’s Dohuk Housing Conplex. 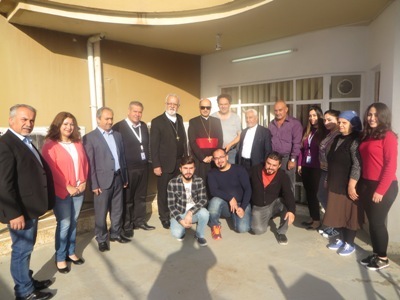 Commencing the visit at 10am, the Metropolitan led prayers at the Complex and was given a tour of the facilities by Mr Odisho Dawood, care-taker of the site and Chairman of the Dohuk Chapter. 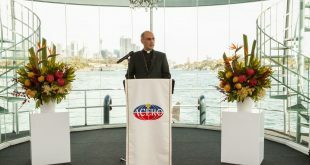 Accompanied by a number of reverend priests and other dignitaries, His Beatitude made time to visit with all residents and pray over those suffering from illnesses and other conditions. 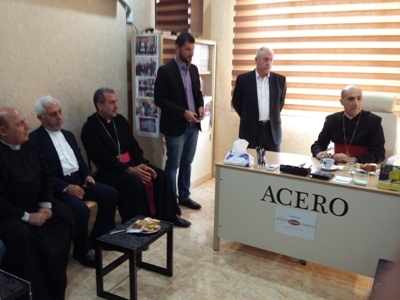 ACERO’s UK Headquarters and the ACERO family around the world offer our thanks to His Beatitude for making the time to visit and for his ongoing support of ACERO’s work in the Middle East.